Allchips is a supply chain platform of electronic components. The platform combines big data with artificial intelligence technology, offering service including cost Calculation, risk management, substitute materials suggestion, and whole BOM purchasing. Meanwhile Allchips would like to be the All-in-one procurement department of hardware manufacturers, PCBA companies, EMS factories, SMT companies, etc., helping them to improve purchase efficiency, and save the cost of labour resource, time and materials. We have engaged in the electronic components industry over 10 years. We completely know the crux of the components supply chain. Allchips focusing on the end users provides the intelligent BOM solution with the help of AI and big data. Now Allchips is favored by more and more EMS, OEM, makers and electronics factories. Allchips is the authorized agent of NXP & Panasonic. Deeply cooperated with TI, Microchip, ST, Maxim, etc. Top strategic cooperators: Arrow, Future, Avnet, WPG, etc. Famous Chinese Brands: CJ Electronics, Yageo, Hongfa Relays, Uniohm Resistors, YXC, etc. • One-Stop BOM service, with 360 days warranty. • Professional product life cycle service and replacement suggestions. • Door to door logistic service within 3 days. • All original and new components traceable. · Processors and Controllers. Including: CPLD,CPU, EEPLD, FPGA, SPLD, Proccessor, DSP, DSC, MPU, MCU and more. · Integrated Circuits - ICs. Including: Multimedia ICs, Amplifier ICs, Counter ICs, Interface ICs, Equalizers, Switch ICs, Logic ICs, Driver ICs, LCD Driver, Clock & Timer ICs, chipset, Audio ICs and more. · Sensors. Including: Magnetic Sensors, Current Sensors, Capacitive Touch Sensors, Optical Sensors, Environmental Sensors, Proximity Sensors, Temperature Sensors, Pressure Sensors, Motion & Position Sensors and more. · RF ICs. Including: RF Integrated Circuits, RF Transistors and more. · Power Devices. Including: DC / DC Converters, Transformers Batteries, Battery Charger, Battery Holders, Clips & Contacts Power Inverters, Power Regulation, Power Management ICs and more. · Optoelectronic Devices. Including: LED Lighting, Lamps & Holders, Backlighting Components, Optocouplers/Photocouplers, Fiber Opticals, Optical Switches, Monitors and more. · Diodes Transistor. Including: Diodes & Rectifiers, Discrete Semiconductor Modules, Transistors, Thyristors and more. · Passive Devices - Passive. Including: EMI Filters / EMI Suppression, Inductors, Chokes & Coils, Capacitors, Resistors, Thermistors, Antennas, Ferrites Varistors and more. · Interconnects. Including: D-Sub Connectors, FFC/FPC I/O Connectors, IC & Component Sockets, Backplane connectors, Terminals Card Edge Connectors, Audio & Video Connectors, Circular Connectors, Lighting Connectors and more. · Electromechanical Devices. Including: I/O Modules, Encoders, Printers, Motor & Drives, Industrial Automation, Relays, Audio Device, Switches, Hardware and more. · Development Board Kit. Including: Sensor Modules, Memory Modules, Power Management Modules, Test & Measurement, Interface Modules, Energy Harvesting Modules, Video Modules, Audio Modules, Sensor Development Tools and more. · Circuit Protection. Including: ESD Suppressors / TVS Diodes, FuseFuse Holders, Circuit Protection Kits, Surge Suppressors, Thermistors, Temperature Cutoffs and more. CNC Electronic Specialists. Parts, repair, exchange, used ex-stock exchange. Includes drive units, control pcbs and power supplies, monitors and motors, and lots more for Fanuc, GE and GE Fanuc. Components Source ia a portal for the Electronics Components Industry. There are 6000 companies cited in the most complete database of electronic components manufacturers and distributors within Europe. This is the best way to find the suppliers you are looking for, with a direct link to their web sites! It includes Manufacturers' addresses and their distributors list, Distributors' addresses and their line card. Other features of this web page include a part search, datasheets, design in, market places, links to: PCB industry quote services, The Electric Power Supply Association, contract manufacturers, consulting services, industry magazines, associations, events, services and more. We are a STOCKING distributor of electronic components.. anything board-level and more. We also purchase excess material from manufacturers and contract manufacturers. Galco Industrial Electronics Inc., was established in 1975 as a distributor of Industrial and Commercial Electrical and Electronic Control, Automation and Motion Products, Repair and Engineering Services. Our goal is to provide professionals with a complete array of industrial electronic control capabilities and innovative solutions. Global Sources Electronic Components is targeted at purchasing managers/volume buyers of electronic components. Besides featuring one of the largest databases of passive components and suppliers from Asia, the website offers industry professionals all the tools they need: latest product information, industry news, market trends, pricing information and technology updates. A key feature of the website is the powerful Specification Search function, which enables users to search components by key specifications, reducing their sourcing time to minutes. HMB Electronics, a Women-Owned Small Business, has met the growing demand for expedited shipments and regional service by working with a vast network of electronic component companies both in the US by region and internationally. By doing this we can build better relationships with customers from around the world to provide their components in a quicker fashion and be able to service them more directly. Our office is located in North Haven, CT where we successfully service the Northeast region of the United States. Here is where our team of sales executives, quality control, and purchasers ensure that we are providing a 110% guarantee of quality-tested components at the best price. "Hard to find parts, obsolete parts, highly allocated parts, semiconductors, connectors, switches, capacitors, relays, fuses, inductors, resistors, wire & cable & more." 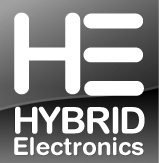 Hybrid Electronics is a value added, broadline distributor of board level electronic components. Our clients include major manufacturers, C.E.M. 's, R&D facilities, and repair shops worldwide. Hybrid Electronics stocks connectors, discrete semiconductors, relays, switches, passive components, integrated circuits, memory products, and much more. We are fully EOS/ESD compliant and ship our inventory same day from our automated wharehouse. Ask us about hard to find electronic components! Our engineering department and staff of procurement & logistics professionals will provide you with solutions for pushed out deliveries, allocation, or obsolescence. With over a half million line items in our warehouse, it's no wonder that we keep our customers happy and production lines moving! MICROREL is a Consultant & Representative organization of Electronic components and RF Microwave Technologies, for AEROSPACE and DEFENCE sectors. With over 30 years of expertise in EEE parts procurement Components of Military Standard requirements (MIL/SMD, ESA/ESCC) through Environmental, Screening, Reliability and Hardness to Radiations compliance. Wholesale Electronics has been established in Mitchell, South Dakota for over twenty years. Providing electronic parts and accessories for the communications industry, education, hospitals, amateur radio enthusiasts, hobbyists, engineers, information services and consumer electronics retailers and repair centers. Wholesale Electronics Inc. offers secure on-line shopping for audio and video accessories, commercial sound, cellular phone, datacomm and telephone, home automation, test equipment, power conditioners and ups systems, CCTV systems, tools, computer accessories. We are a full line distributor for South Dakota, North Dakota, Minnesota, Iowa and Nebraska and now the world. We promise secure worry free on-line transactions. If you would like to order via telephone please contact us via our toll free number (800-351-2233) or fax (605-996-4300). Wholesale Electronics offers wholesale and discount pricing. Wholesale Electronics will ship to anywhere in the United States.